At Langley Fiat, we believe in giving you all the information you need to make the right decision for you and your vehicle—before you arrive at our dealership. 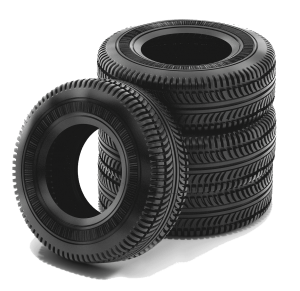 Tires are a vital component of your car. After all, they’re the only four touch points that connect your vehicle to the road. But, for most car owners, knowing when it’s time for new tires, how to buy them, and how to take care of them is a mystery. Here’s everything you need to know to stay safe and enjoy a dependable, comfortable ride. Tires are your only connection to the road. How do I know when it’s time for new tires? Standard tire wear is the most common reason for new tires. Once your tread reaches the minimum depth of 1.6 mm. (1/16 in. ), it’s time for new tires. However, depending on the driving conditions for your Fiat, you may want to consider replacing your tires sooner. If you face a lot of wet-road conditions, you will begin to lose traction and be at greater risk for hydroplaning once your tread is worn beyond 3.2 mm. (4/32 in.). For frequent snow driving, even greater tread depth is needed—at least 4.0 mm. (5/32 in. )—for your tires to take big enough “bites” out of the snow to retain optimal traction. Driving habits affect tire durability. Beyond standard tire wear, keep an eye out for cracks, cuts, bulges, or blisters in your sidewalls. In particular, bulges and blisters signal potential weak spots in your tires, which could lead to a dangerous tire blowout. As you drive, if you feel excessive vibration in the steering wheel or notice the car pulling toward one side of the road, have your tires inspected. It may be an issue with another component of your car, such as a misaligned or damaged wheel, but it could also signal an internal problem with a tire. Regardless of wear, all tires should be replaced after six years. How do I know which tires to choose? Once you’ve decided it’s time for new tires, start by inspecting related components of your vehicle. Putting new tires on a car with bad alignment or shocks will rob you of the benefits of new tires and cause your tires to wear quickly and unevenly—bringing you back to the dealership for a new set sooner than necessary. Recommendations for your Fiat are located in your owner’s manual and on the information placard usually located along the inside of your door frame. The tires that came with your vehicle when you drove it off the lot are often the best choice, as they were selected carefully to pair with the strengths and features of your vehicle. OEM tires are chosen for your particular car. Original equipment manufacturer (OEM) tires may be more expensive than other alternatives, but if you like the tires you have on your car now, the best recommendation is to keep what you have. If your budget won’t allow a like-for-like replacement, ask one of our technicians about the closest available match. If you love to drive, high-performance tires will give you the grip and handling you seek. Just remember that “high performance” refers to the tire’s ability to improve the driving experience for your Fiat; it does not refer to the durability of your tire. As with any high performance tire or, for that matter, high performance car, you should expect to get your tires replaced at shorter intervals. What’s the best way to maintain my tires? Making your tires last depends on several factors, including the specific tires you purchased, the weather conditions you face, and your driving habits. Additionally, overloading your vehicle beyond its recommended weight limits can overheat and quickly wear out your tires. As you drive off the lot with a new set of tires, give them about 800 km. (500 mi.) to break in. This break-in period allows your tires time to shed any residues that remain from the manufacturing process, which can lessen grip and extend braking distance. Check air pressure at least once a month. If you’re alternating between all-weather and winter tires, make sure you change them at appropriate intervals. Winter tires wear faster than regular tires because of their tread design and the use of a softer tire compound that’s better suited for sub-zero temperatures. As a car owner, one of the most important ways to maintain your tires is to perform monthly air pressure checks. All tires leak over time, and underinflated tires decrease tire performance, increase wear on the tire, and lower your vehicle’s fuel economy. Just “eyeballing” your tire pressure isn’t enough; a $5 investment in a tire pressure gauge can save you hundreds in the years to come. On the other side of the equation, be cautious about overinflating your tires. The maximum air pressure listed on your tires, in kilopascals (kPA) or pounds per square inch (PSI), is often higher than the recommend tire pressure included in your owner’s manual or information placard. In addition to the role your driving plays for maintaining your tires, regularly rotating and balancing your tires, as well as checking wheel alignment can extend their life and improve the driving experience. Tire rotation exchanges the front and rear tires on your car. The front and rear tires manage different loads and perform different braking and steering functions. Rotation ensures that all four tires wear evenly. On average, you should expect to rotate your tires every 8,000 km. (5,000 mi.) to 11,000 km. (7,000 mi.). Your owner’s manual will have specific recommendations. It may be a good idea to rotate your tires if you’re already in the shop for another reason. Wheel balancing should occur every time your tires come off of your vehicle, or if you notice a vibration. Like other scheduled maintenance items for you tires, proper balance helps extend their life. To balance your tires, technicians add small weights to the wheels. Wheel alignment keeps your tires perfectly vertical in relation to your vehicle. How should I store winter tires? If you change your tires seasonally between all-weather and winter tires, proper tire storage becomes another important component of the process. Before you store your tires at home or with a dealer, use a tire brush, soap, and water to clean them—waiting until the spring creates twice as much work! Store tires in airtight bags, which keeps the lubricating oils in the rubber compounds from evaporating. Tire totes, while a popular way to store tires, are not airtight; wrap tires in plastic first before placing them in the convenient carrying totes. If you store your tires separately from the wheels, store them vertically or in low stacks. If storing tires still mounted on their wheels, hang them from hooks or keep them in stacks. In either case, keep your tires in a cool, dry place. Avoid areas like garages, sheds, or attics that are not climate controlled. For maximum life, store tires away from ozone-producing areas in your home, which include spaces near central vacuum systems, furnaces, or sump pumps. Have another question? Give us a call. Ready to get new tires for your Fiat? Book an appointment online! Store seasonal tires in low stacks.